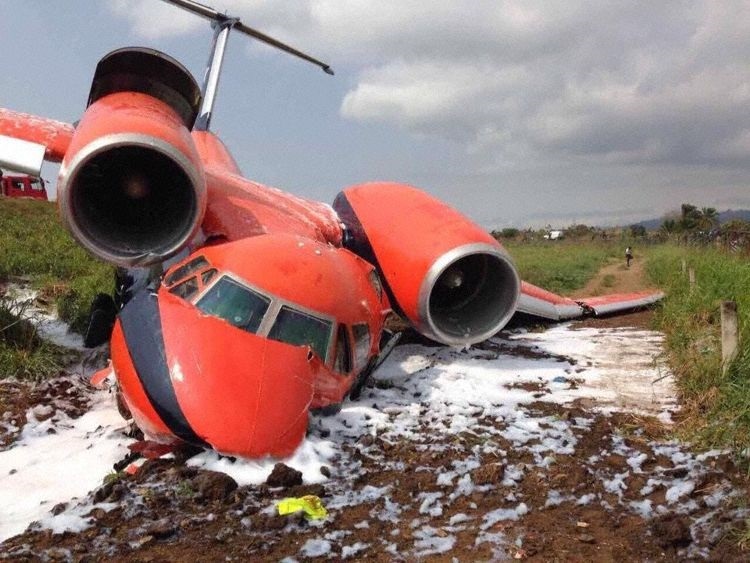 Whilst doing an aborted take-off, the aircraft ran beyond the end of the runway where it fell down an embankment and was damaged beyond repair. All six crewmembers survived with injuries. 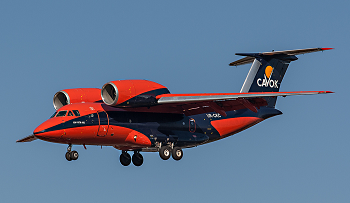 Carrying six crewmembers the An-74 was performing its takeoff run in favorable weather on runway 29 at Sao Tome when at some point one or multiple birds collided with the aircraft. At least on of it was ingested in the right hand engine #2. Apparently this prompted the pilots to abort the take-off, but the remaining runway was not long enough for the jet to come to a stop. 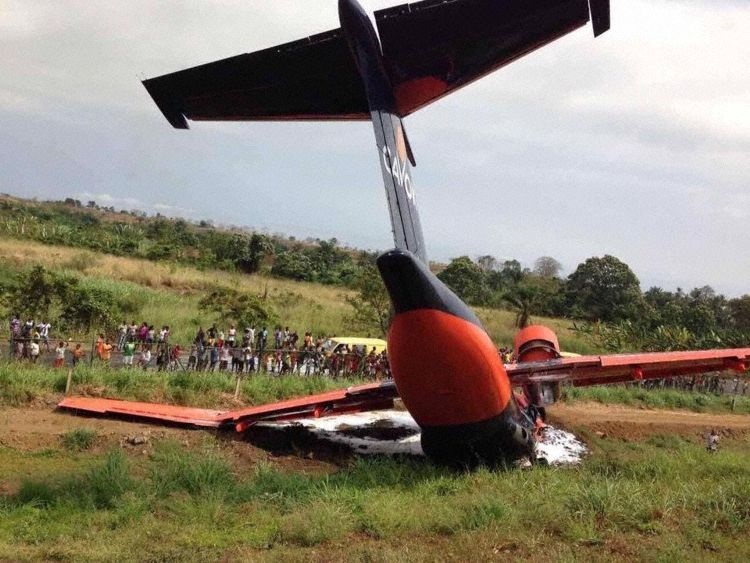 The aircraft went beyond the end of the runway and across downsloping terrain when its nose impacted an earth mound short of the airport perimeter road. 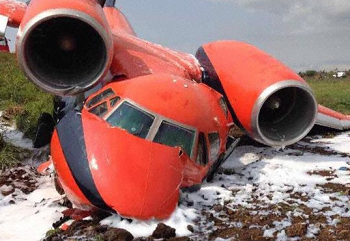 The AN-74 finally cme to rest about 30 meters behind the end of the runway. Only one crewmember was able to escape the aircraft without injury. 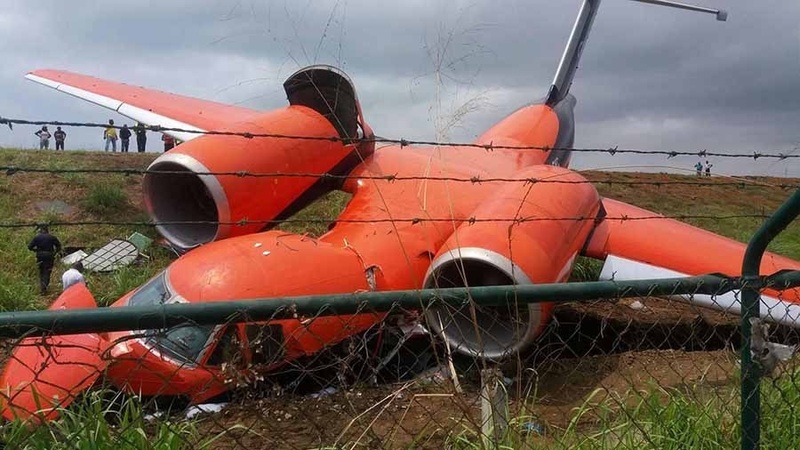 The aircraft was badly damaged and is likely to be considered a hull loss. 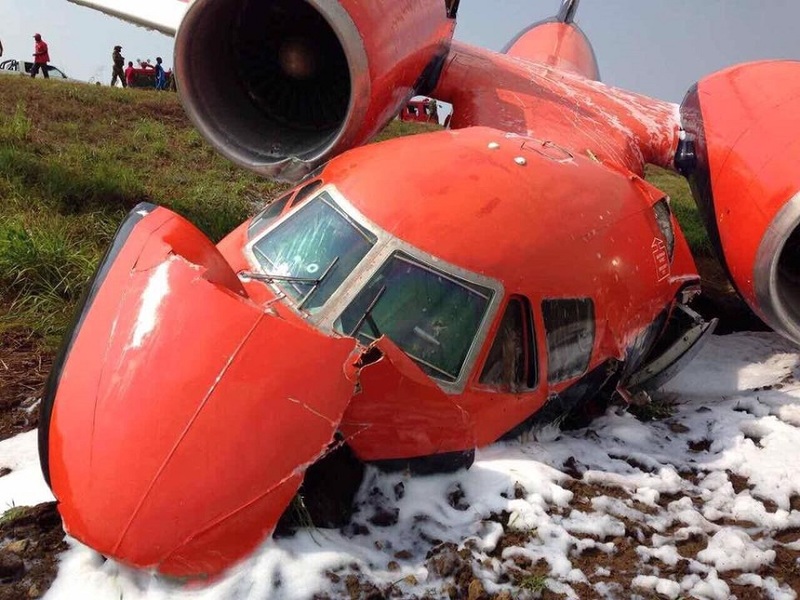 The accident aircraft was on a return flight to Europe after it arrived at Sao Tome from Stavanger (Norway), Luxemburg and Ghardaia (Algeria). 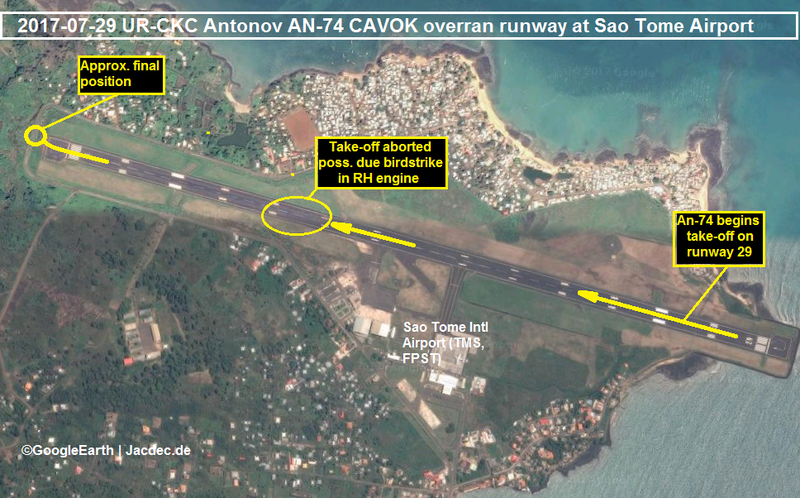 The only runway at Sao Tome is 2,160 meters (7,087 ft) in lengh and has only limited overrun capabilities.